Multi-purpose water based adhesive. Use for priming and sealing porous or dusty surfaces. 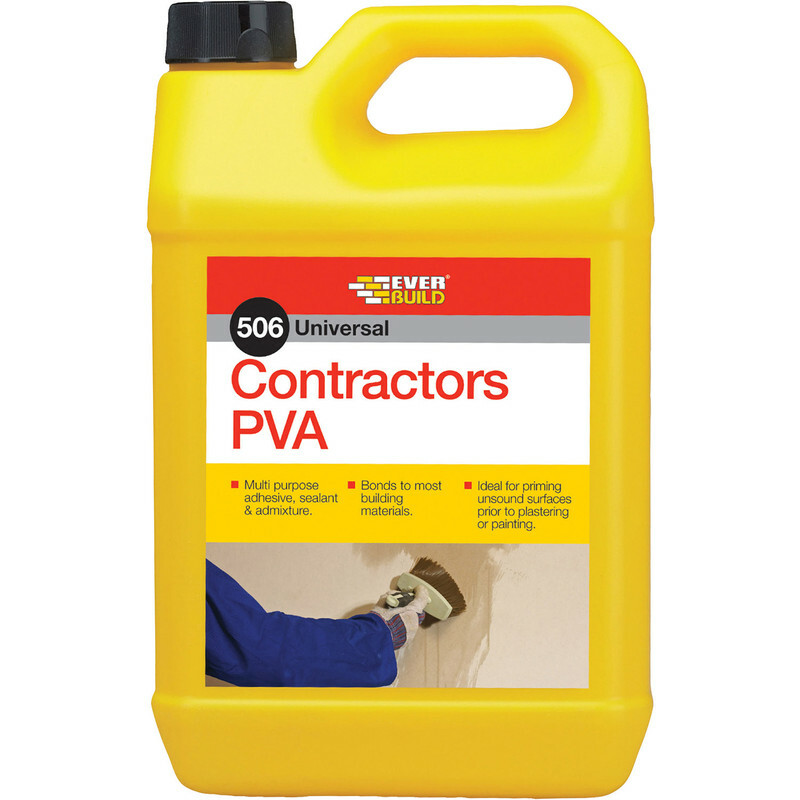 Everbuild 506 Contractors PVA 5L is rated 4.7 out of 5 by 32. Rated 5 out of 5 by Les53 from Job done bought to seal new plaster and concrete floor in a refurbished kitchen, did the job better than expected, i was able to start to tile and decorate after 24 hours, job done . Rated 5 out of 5 by PeeTee from As expected... Bought this to seal walls/floors before decorating - to seal concrete and stains. Did the job perfectly well, so I'm happy. Easy to dilute - no lumps. Don't know how it would perform as a glue. Rated 4 out of 5 by Halfajob from Great allround Great allround useage for so many jobs. Rated 5 out of 5 by Home Decor from Everbuild 506 Contractors PVA 5L Good quality product at a realistic price works well. Rated 5 out of 5 by Grasscutter from Good Gear. Good Gear. Goes a long way on "dusty" plaster. Sheffield. 07 JUNE 2018.